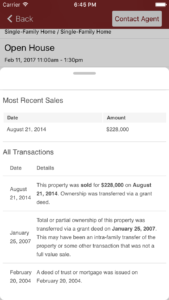 Our newest mobile app integration, Graphiq, provides unprecedented access to property and location data visualizations. This means, you and your clients can now get more information than ever, to make better informed decisions. Graphiq’s real estate solution provides unprecedented access to property and location data visualizations. Leveraging simple-to-use tools, developers and real estate companies can easily implement interactive visualizations that drive engagement and ultimately conversions and sales. 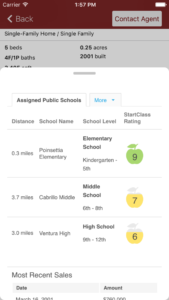 Data encompasses 150M properties and 220K communities across the U.S.
With your own personal SnApp Real Estate app, you can now get market trends, estimate house values, walk scores, school ratings, and much much more. This entry was posted in features, real estate mobile apps, SnApp and tagged app, features, graphiq, new features, real estate app. Bookmark the permalink. ← Why Do Real Estate Professionals Need Custom Mobile App Development?